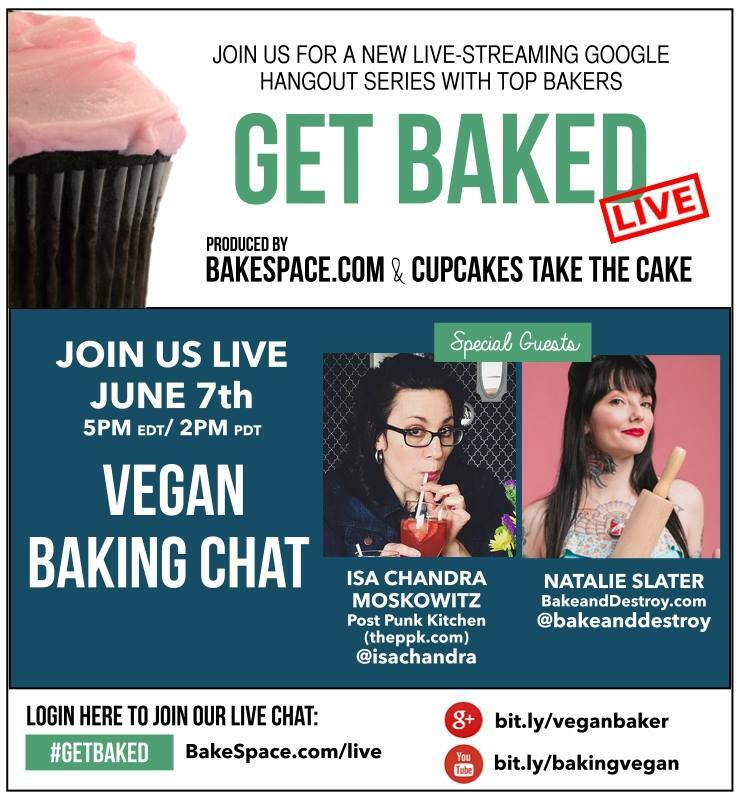 Our next Get Baked is about vegan baking and we have two rock stars on tap to talk about it. Natalie Slater – Creator of popular vegan food blog Bake and Destroy, Natalie Slater has been described as “Martha Stewart meets Motorhead,” taking vegan cooking to places it has never been before. Influenced by slasher films, pro-wrestling, punk rock and heavy metal, her quirky-yet-delicious comfort foods are a refreshing take on vegan eating with award-winning flavors. Along the way, her off-color humor, irreverent rants and density of pop-culture references will make you laugh out loud. Natalie has appeared on Food Network, The Cooking Channel, and WTTW Chicago Tonight as well as on the pages of Time Out Chicago and Bust Magazine. Tune in Live at 5PM/2PM EDT on Sunday.